Herbert Dingle (1890-1978) fu un fisico e filosofo della scienza inglese. Fu presidente della Royal Astronomical Society dal 1951 al 1953. Divenne professore presso l'Imperial College nel 1938 e all'University College di Londra dal 1946. Fu uno dei fondatori della British Society for the History of Science, e di quella che in seguito divenne la British Society for the Philosophy of Science e del suo giornale, il British Journal for The Philosophy of Science. 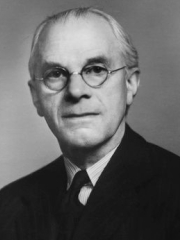 Herbert Dingle (18901978) was an English physicist and philosopher of science, who served as president of the Royal Astronomical Society from 1951 to 1953. He became a professor at Imperial College in 1938, and at University College London from 1946. He was one of the founders of the British Society for the History of Science. He founded what later became the British Society for the Philosophy of Science as well as its journal, the British Journal for The Philosophy of Science. Science at the Crossroads was published by Herbert Dingle in 1972 at the end of a gruelling controversy with the English scientific world about the clock paradox in Einstein's special relativity. It is still a seminal text, which allows us to understand and evaluate, with Cartesian clarity, the problem of that paradox for all those readers who find themselves in a widespread condition of having studied Einstein's special relativity or received a teaching of it, and yet of not feeling comfortable it because the attempt to understand the logical connection of the parts with the whole did not succeed. Many have experienced this state of mind, and can admit it. In this way Science at the Crossroads is an important source of knowledge about Einstein's special relativity and its historical background. Science at the Crossroads contains a great wealth of philosophical and epistemological ideas. The essay has a classic imprint, rich with sharp and clear distinctions, and very elegant in style. We meet countless research possibilities concerning the mathematical idealism of anti-classical physics after 1920 (assuming it is still correct to call it physics rather than metaphysics, as Dingle would suggest, as a partisan of modern science empirical method). Every page written by Dingle suggests research that could be carried out in depth, starting from what Dingle observes on the origins of mathematical idealism in Maxwell himself and his displacement current postulated to ensure the continuity of a given mathematical function, to end with the extreme tendencies of this kind of thought that were manifested towards the 1970s, as for example in the case of Professor Hoyle mentioned in the last chapter, who has plainly stated his advocacy of the process of telling nature what to do instead of looking to see what she does. Naturally, it is our task to continue Dingles research up to the present. The present electronic edition provides a Foreword from the editor, which informs about the basic knowledge readers are expected to have in order to fully understand Science at the Crossroads.